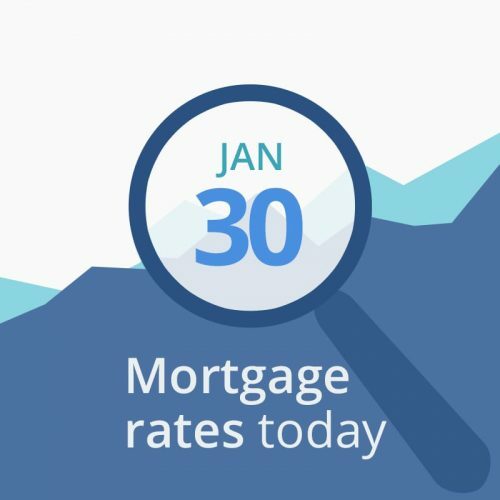 Average mortgage rates today are slightly lower than yesterday’s opening. Analysts were surprised by data from payroll processing giant ADP, which added 213,000 payrolls in January, beating expectations of 180,000. The report is commonly thought to foreshadow the monthly Employment Situation report due Friday, so investors pay attention. And what’s good for employment is usually bad for mortgage rates. Pending Home Sales fell in December, says the National Association of Realtors, despite lower mortgage rates. Less demand for homes means economic cooling, and lower demand for mortgages can also pull rates down. At 2 PM EST, the Fed is expected to announce no change in its target interest rate. An unexpected increase or a speech indicating near future increases or decreases could affect markets. The biggest reports for the week will come tomorrow and Friday. If you can get a good rate today and are locking soon, you should probably grab it. Gamblers may be rewarded with lower rates if the reports show economic slowing. But markets are still very unstable as long as all we have is a temporary resolution to the shutdown and no budget. If we get this fixed soon, the resulting economic tear could push rates up fast. But if we don’t, there is every chance of recession and lower rates. That’s why rates have stalled; no one knows which way the wind is blowing. Thursday and Friday may tell us.